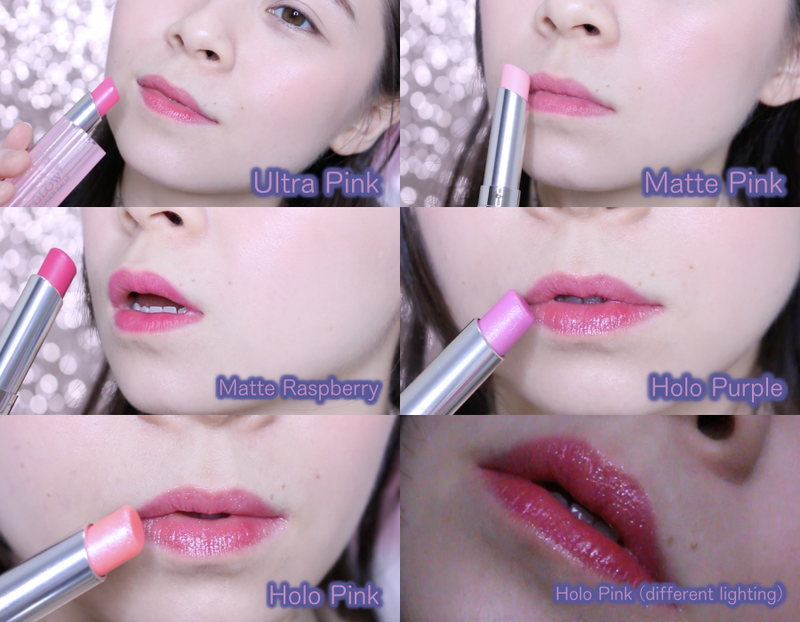 JQ Talks: HOLO & Matte Lip Glow?! New Shades Of Dior Lip Glow! HOLO & Matte Lip Glow?! New Shades Of Dior Lip Glow! Holo Everybody! Dior came up with more new shades for their Lip Glow Collection and I'm so excited! 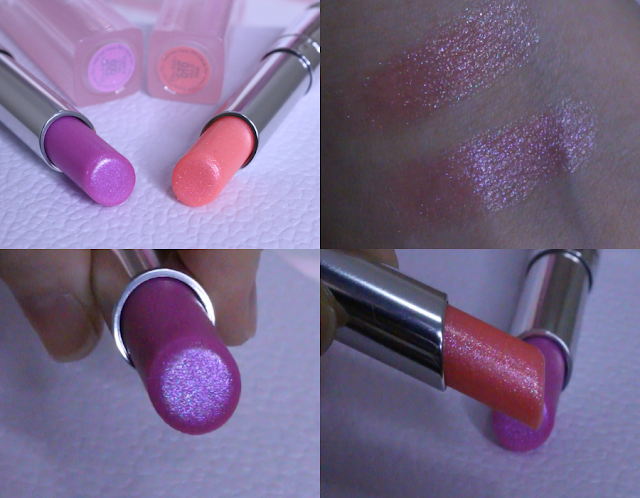 Two highlights for this blogpost review will be about their new Matte finish and Holo finish Lip Glow. Lip Glow have been around for quite a while now and it is a cult favourite as these tinted lipbalms are pretty awesome. I've been carrying their older versions in my handbag almost every where I go because they are super easy to apply, super moisturising, and beautiful on the lips. Check out my video unboxing and first impressions below! These are the new shades that I've received from Dior. Ultra Pink, Matte Pink, Matte Raspberry, Holo Pink, and Holo Purple. 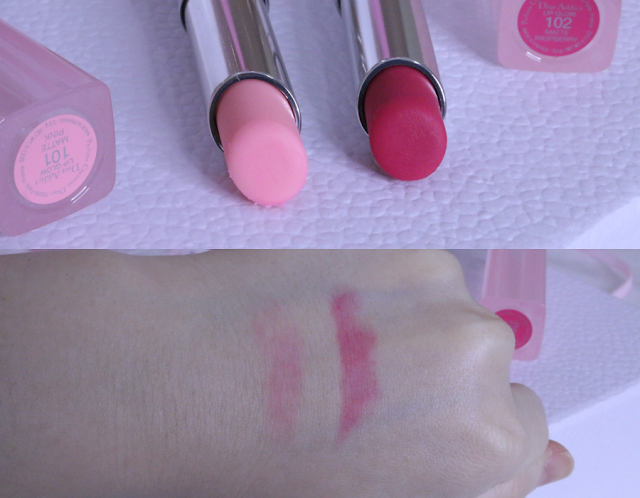 The packaging is exactly the same as the previous Lip Glow but the sticker varies according to colour and finishes. 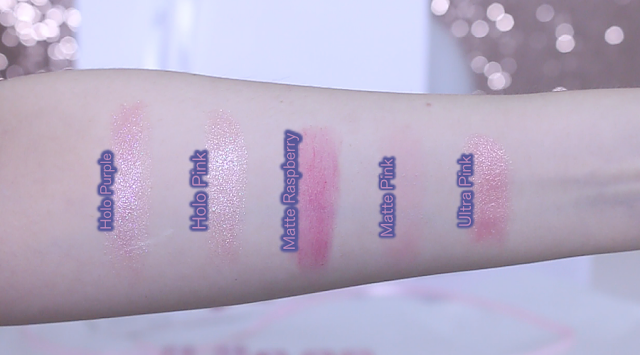 Ultra Pink has a regular sticker with pink colour close to the Lip Glow shade. Both matte finishes have stickers with matte finish on it and both holo finishes have glittery stickers on them. This makes it super easy for us to identify the shades and finishes. It looks like jelly from the tub which I find it very fascinating. 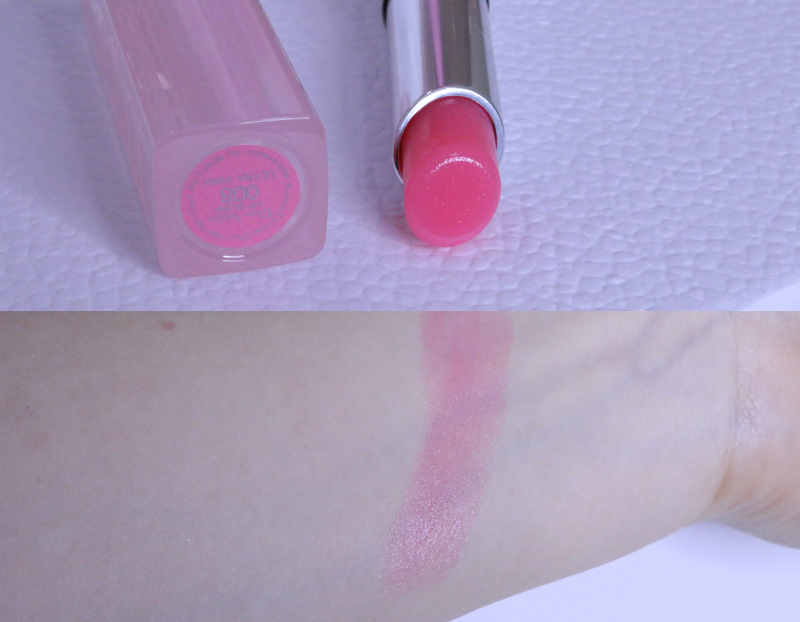 This ultra pink is a new colour in addition to the other older lip glow. Similarly it has a dewy finish and leaves a nice pigmented tinted to the lips. It's very pretty and makes my lips look lively. The two shades that I have are matte pink and matte raspberry. It's awesome that Dior came up with these matte finishes as I believe a lot of people will really appreciate it. However, as much as they are both really pretty in colour, I feel that the pink can be a little too light. It's not everyone can pull of the pink shade. That aside, are very smooth and creamy, can easily be spread on the lips and it's extremely moisturising. If you have to pick, I would say to go for the raspberry shade as it's pigmented enough if you want to go bolder with your lip colour on certain days. Keeping true to its lip glow vision, you won't have to worry about this holo being too OTT. It's very subtle to the point you can't really tell unless you look upclose. This lipbalm is not gritty, it's still pretty smooth and of course, moisturising. It looks much glossier than Dior's regular lip glow and there's only a slight difference in shade between the two Holo Purple and Holo Pink. I personally love Holo Pink as I feel that the shimmers/holo reflects better with the pink base. Overall, Dior kept every new lip glow true to its identity. None are too loud or wild in colour but all are very pretty and greatly moisturising. They all probably looked the same at the end of the day for those none beauty junkie. Thus, if you ask me to recommend, try Holo Pink (if you don't like the glitter, go for Ultra Pink) and Matte Raspberry.